Enhanced by precision disconnect points for a smoother, crisper and more consistent trigger pull each time. Heavy springs to assist in battling light primer strikes like other LPK's. Assembly takes place right here in Bakersfield, Ca. 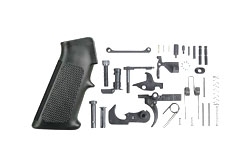 Everything needed to complete your stripped lower except the stock & buffer tube components. PLEASE NOTE: Custom aftermarket parts that have been installed marred, sanded, shaved, scratched, installed incorrectly or correctly, we do not accept returns on these items unless items are in new, unused condition. 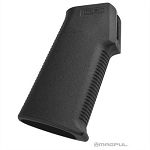 Please contact a qualified gunsmith for correct installation, or feel free to contact the manufacturer to see if the item is covered under the manufacturer's warranty. Given the nature of custom fit parts, many manufacturers will not offer warranties on items that have been altered and where installation error may have created the problem.